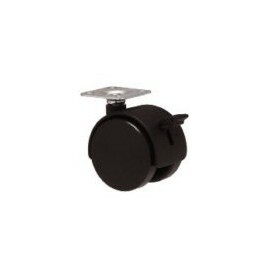 This is a Black Nylon Hooded light duty Caster. It's swivel action will allow easy movement of your furniture or display racks while the brake will allow the object to become stationary and safe. Generally used for furniture or display racks. It is a quality and a reliable product built to last and is available in Australia.